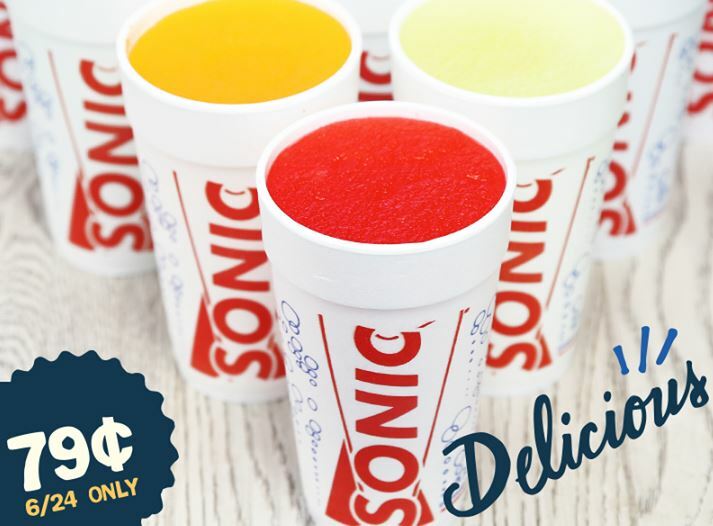 For today only, Sonic Drive-Ins are offering medium slushes for 79¢! It’s hot outside, so this sounds like the perfect treat. There is a limit of (4) per person and add-ins (like candy), cost extra. Make sure to mention this offer when ordering. This deal is valid today, 6/24, only.